Do you have any more commandments to add? 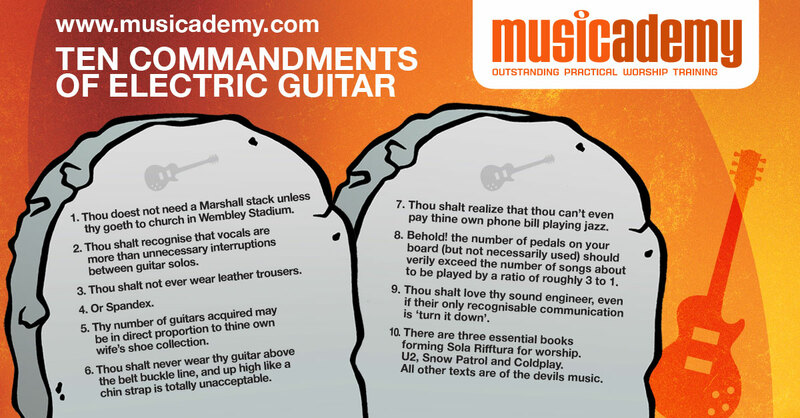 Do check out the 10 Commandments of Bass too. Have you seen the Musicademy worship training DVDs and downloads for guitar – beginning to advanced levels on acoustic and electric guitar. This entry was posted in Guitar, MusiComedy. Bookmark the permalink. Trackbacks are closed, but you can post a comment.